A heavy-weight criminal defence practice and a specialism in immigration law. Revantha Amarasinha is an experienced advocate with a heavy-weight criminal defence practice. He defends across the full spectrum of criminal offending. Revantha is regularly instructed in complex, multi-handed cases requiring detailed consideration of voluminous papers. He has been a led junior in several murders. 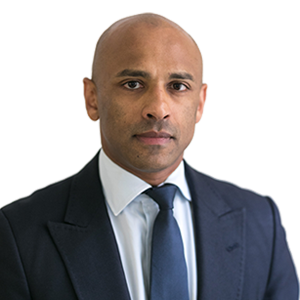 Revantha also has specialist knowledge of immigration law appearing regularly at the Immigration and Asylum Chambers (Upper Tribunal and First-tier Tribunal) as well as in High Court proceedings. 2008 R v. Miah – 6-handed gang related murder. The Appellant had pleaded guilty to drink driving and was sentenced at the Magistrates Court. Following adverse publicity, the Crown pursued him for dangerous driving relating to the same incident in the Crown Court. The Court of Appeal held that this later prosecution amounted to an abuse of process and the conviction was quashed.